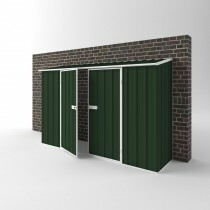 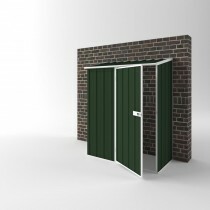 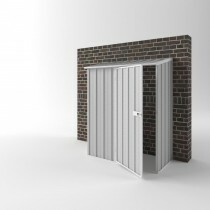 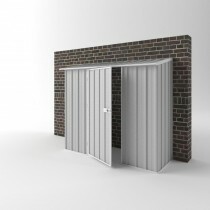 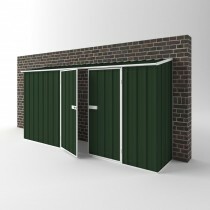 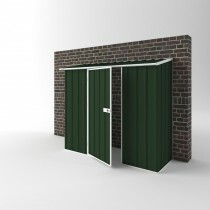 The EasySHED Off-the-Wall model is a popular and cost-effective option within the range. 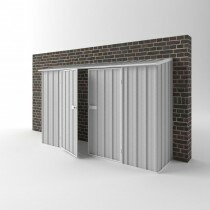 With no back wall and no need for a concrete slab, this unit can be fixed to an existing dwelling or structure to make economical use of tight spaces. 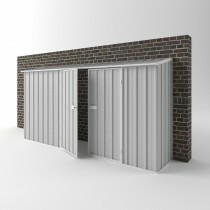 Like the rest of the Flat Roof models, the Off-the-Wall is perfect for courtyard garden storage, denser inner-city living, townhouses and homes where storage is important but space is limited.